This bird had me stumped for awhile but, we gotterdun. 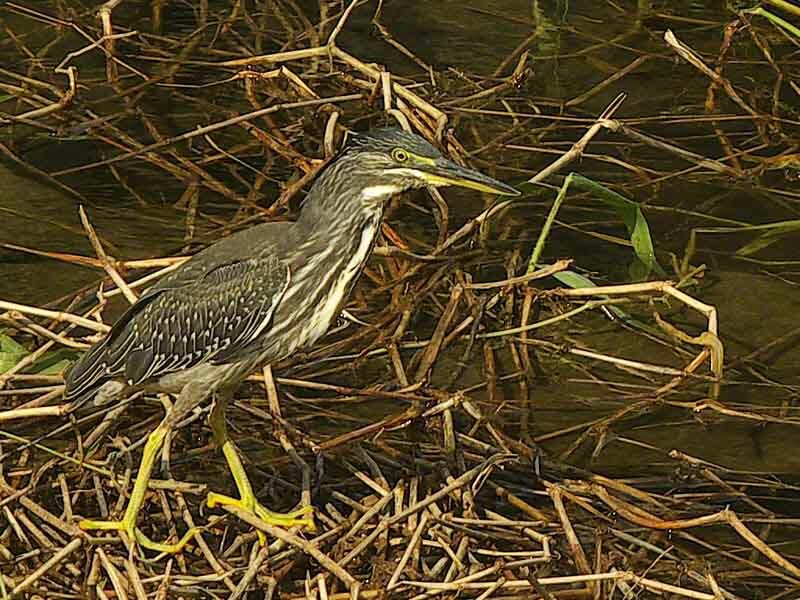 It's a Striated Heron, sometimes called Little Heron (Butorides striata). They eat fish, bugs, frogs, snakes and when they're really hungry, other birds. They have experts on everything, not just birds. You can find snakes, turtles, bats, butterflies, trees, flowers and plants over there. November: Full Beaver Moon Month ! Animal Photo of the Week: Let's Get It On ! Who Fouled-up the Tomigusuku Wetlands ? A Sea Kayaking Affair: You Ever Had One ?